← Loving this MINI Trend! Wow, stunning! I am so jealous of your beautiful quilt! The quilting is amazing! Congratulations on such a wonderful finished quilt! The quilting really makes this quilt. Sob! that you have to give it away, but I know the recipient will be awed! Jennifer, I totally get where you are coming from with the kiddos. For years my quilting was always last on my list of things to do. Today I babysit my grandchildren so I am still a weekend warrior. This is just a season to get through so love on them now before they walk out the door. You are an awesome quilt maker! I love Nantucket and planned on doing that one too but never got to it. 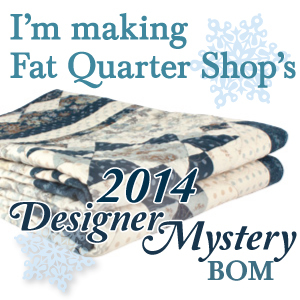 I’m enjoying the quilters newsletter magazine quilt you are working on. Hope to see more of that one. Hey, I completely understand where you’re coming from with the kids and house and work thing! It’s so draining, yet you could ask for nothing more in life, except maybe 26 hour days and a day between Saturday and Sunday. Your Nantucket looks fantastic. I have the centre made in mine, and am trimming down the nine patches. I’m stuck at a boring stage and have been for a couple of months. Hope I feel the love again soon and get going on it.